Friends of the Earth have joined with international groups to organise a global month of action on energy. They say that we face a planetary emergency and are heading for catastrophic levels of climate change. Around the world people are uniting to respond to the crisis – but we need to reach more people, link up and scale up our actions. Key dates during the month of action. October 11 – Actions calling for a stop to public subsidies for dirty energy companies. October 16 – World Food Day: Day of Actions against Agrofuels. October 19 – Global Frackdown Day: Day of Actions against Fracking. Our local groups will be hitting the streets across the UK inviting people to tell their council why fracking is a dirty word. November 11 – start of the UNFCCC Conference of Parties (COP) climate talks in Warsaw, Poland. 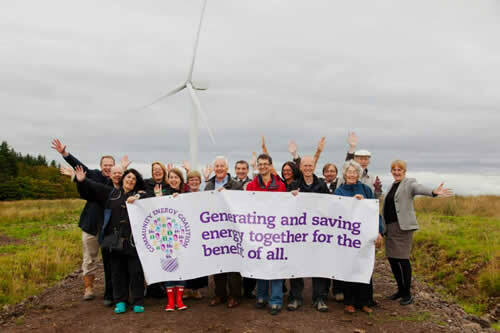 To find out how to join a Community Energy Group or Project here in Dorset see our Sustainable Living section or view all your home or business Renewable Energy options.